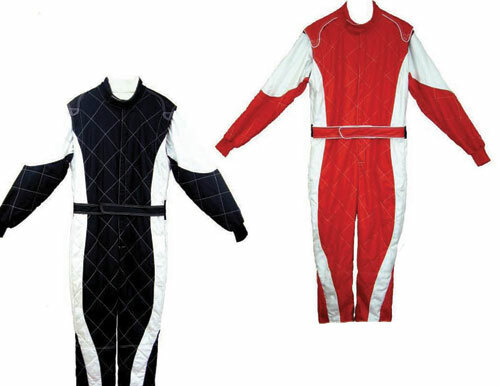 Rampac driver suits are best-selling one-layer, one piece suits. They are made from Probanex cloth treated with our Pyro-Fiber fire-retardant molecular treatment process. 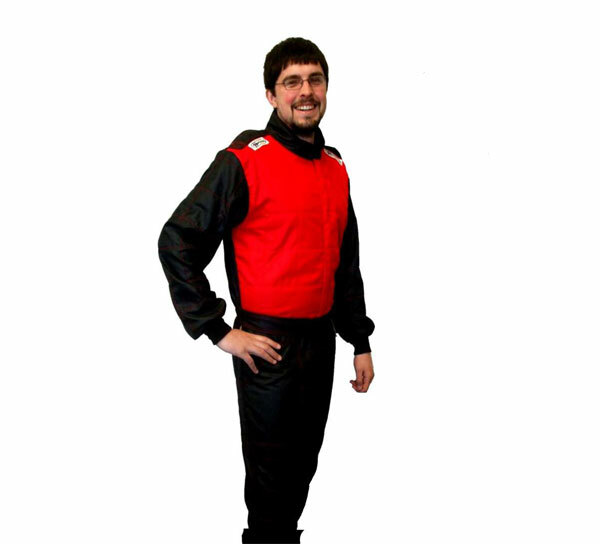 Rampac racing suits meet SFI 3.2A/1 safety specifications. TeamTech’s Jetpilot multi-layer driver suits are made with Nomex Satin-Finish and a matte inner layer to keep heat and fire out and keep the driver cool, dry and comfortable. TeamTech multi-layer suits are provided with standard features such as box quilting, epaulets, waist belt, knitted cuffs and pleated back in the popular colors of solid red, black, or blue. Jetpilot suits are one piece and meet SFI 3.2A/5 safety specifications. A good racing glove should fit quite snugly for the best level of comfort and protection. Driver gloves often stretch a bit once they’re broken in, and gloves that are too loose can bunch up, causing discomfort. Make sure to buy gloves with a snug fit with no bulkiness or pressure points on your palms, wrists, or fingers. This discomfort can be distracting while driving and can reduce driver performance. Your driving gloves should provide you protection while still enabling you to get a good grip and feel for the steering wheel. We designed our driver gloves from the inside out to ensure a perfect fit and feel. Our gloves have a new positive grip polymer palm for maximum gripping power, giving you more comfort and control. 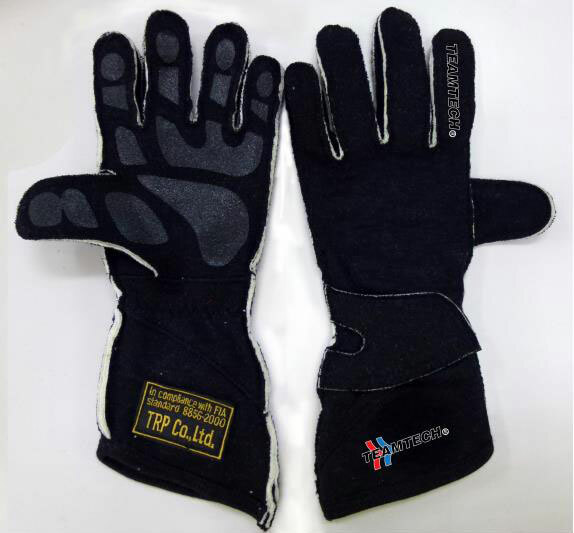 Our gloves are flame retardant, and they meet FIA/SFI 3.3 safety specifications. First and foremost, the shoes should provide protection from fire and heat. They should also have a low heel, which will enable your foot to move around the pedals more easily for better control on the track. Good racing shoes should also enable you to feel and grip the pedals through the soles–while being thick enough to protect from the heat of the engine, of course. TeamTech driver shoes are made with suede uppers and Normex inner liners and soles. They have extra-insulated soles to reduce thermal transfer. Our shoes are flame retardant and meet FIA/SFI 3.3 safety specifications. A quality pair of driver shoes is an investment. Our shoes are competitively priced, but we still recommend that you take extra care of your TeamTech driving shoes because they ensure high performance and safety. 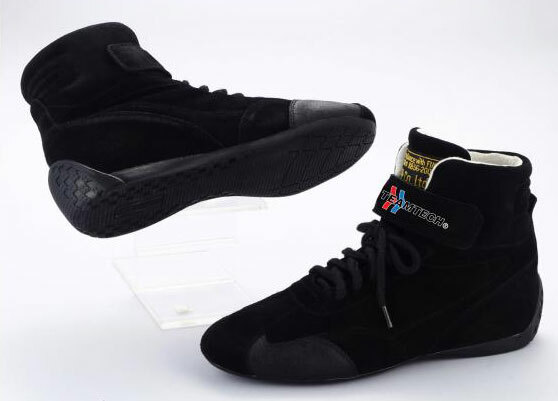 For the greatest longevity of your driving shoes, use them only while you’re racing, and wear another pair when you’re just walking around the track.